For a guy that doesn’t like to travel, Poonsawat Kratingdaenggym, 122 lbs, Sakon Nakhon, Thailand, looked like Alan Whicker last Saturday as he defeated Ireland’s only titlist to win the WBA Junior Featherweight title. As the noisy home crowd of Bernard Dunne, 121 lbs, Dublin, Ireland, were praying for another jaw-dropping contest reminiscent to the Irish brawler’s fight of the year contender victory against Panamanian Ricardo Cordoba last March, what they were about to witness was a quality if rugged performance from the all action Thai fighter. 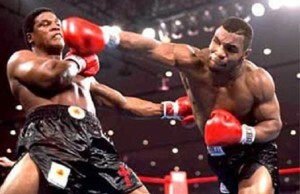 Before I start with the fight report, the whole card was atrocious. Everything wasn’t ‘Hunky Dory’ as the card suggested. It was full of mismatches that saw heavyweight sensation Tyson Fury beat Tomasz Mzarek with one hand for 6 rounds and still giving the Czech journeyman a beating. This main event however, left a sour taste as referee Jean-Louis Legland refused to stop the contest after several opportunities. Dunne started the bout counter-jabbing his slower opponent, but he never looked comfortable under the relentless pressure from Poonsawat. In the third round, the Thai fighter stepped up a gear and pushed Dunne to his limits. Dunne has always had a suspect chin since his 60 second knockout defeat to Spaniard, Kiko Martinez. It suggested to me that he punched himself out as he threw countless four-punch combinations to keep Poonsawat off balance. He looked tired as a left hook grazed his ear and he fell face first on to the canvas. There was about a minute and a half left of the first round and many officials would have stopped the contest right there and now. He looked senseless. Dunne got back up and looked more than a bit dazed but Legland allowed him to battle on. The pressure continued as the challenger teed off with countless one-two combinations that found their mark consistently. Dunne’s defence, or lack of it, meant that his face was marked up. 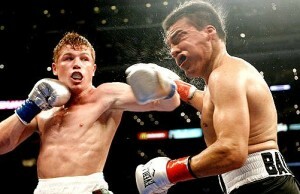 He had a cut over his left eye and the Irishman landed a solid left hook that wobbled his opponent. But it was to no avail, as a crispier left hook landed on the champion’s whiskers that saw him wobble for 5 seconds and after no evidence of a punch landing, Dunne fell to the canvas with half a minute left. At this point, Dunne was out. He wasn’t in the room and looked like he had just been on the Mari Joanna as his eyes were definitely not in the room. Bernard had a blood nose and his constant nodding meant that the referee allowed him to carry on. Poonsawat didn’t even need to land a punch as Dunne fell to the floor for the third time in the round. No clean punch had been landed since the second knockdown but the strength of the Thai fighter, that was rumoured to be weighing no less than a 132 lbs on fight night, was enough to topple Dunne to the canvas for one final time. Dunne’s corner quickly threw in the towel and ran into the ring to save their fighter any more punishment. As the colourful gum-shield was pulled out, Poonsawat celebrated winning an alphabet title that could set up a major pay-day against Celestino Caballero, by bowing to every corner in the arena. 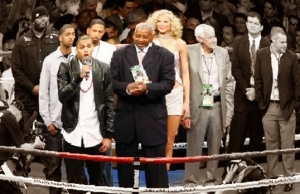 The former champion was on the floor for several minutes, being tended to by his trainers and ringside doctors. He required oxygen and his speech was more than a little slurred as he spoke to the Irish version of Max Kellerman. 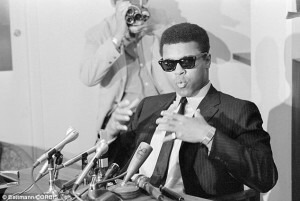 Members of the crowd and the press were imploring the referee to act, but he carried on counting. It was disgraceful watching the referee not realizing that Dunne’s legs had been taken from under him. He should take a leaf out of Luigi Muratore’s book. The Italian referee stopped Matthew Macklin’s battering of Finnish superstar Amin Asikainen after judging that Asikianen was in no fit condition to carry on. It was the perfect call. Some called the stoppage premature, but it just stopped the inevitable, as the stronger Brit would have carried on punching the living out of Asikainen. When does a referee stop a fight? When the fighter doesn’t look like he has the ability to fight himself out of a hole despite not being hurt? 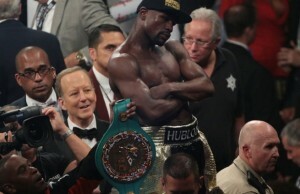 When the fighter shows true heart and battles on despite being thoroughly out-classed? The perfect stoppage is when the fighter is hurt and doesn’t want to be there but it’s difficult to get the balance spot on. This is another controversial subject in the sweet science, but hopefully officials will learn from Legland’s mistakes. The biggest problem is that mistakes like that could leave a horrific mark on the sport. Hopefully, less controversial stoppages can help move the sport forward.